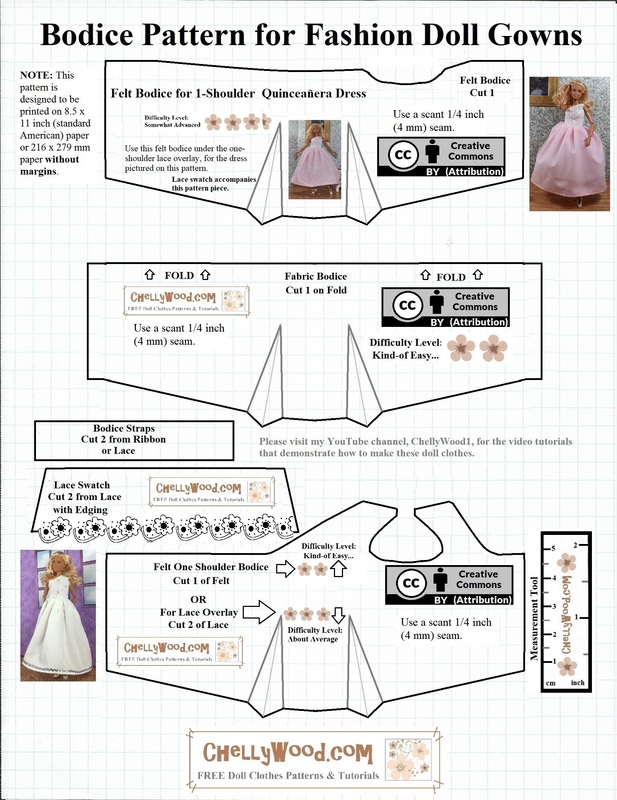 As you can see, this week’s Barbie®/fashion doll wedding dress pattern includes three different bodice styles. And yes, this probably looks familiar to you, because we used the same pattern for the regular-sized Barbie/fashion doll wedding dress that I posted back in January of this year. Looking back over the years, I find that my wedding dress, prom dress, and quinceañera dress patterns seem to get the most hits from new visitors to ChellyWood.com. So I thought it might be a good idea to offer some new variations in these types of fancy formal gowns for fashion dolls. This week I’m offering free sewing patterns and tutorials for making a lovely one-shoulder-look wedding gown to fit tall fashion dolls like Tall Barbie from Mattel. And today, I’m posting the free, printable sewing pattern for making the dress’s one-shoulder bodice. 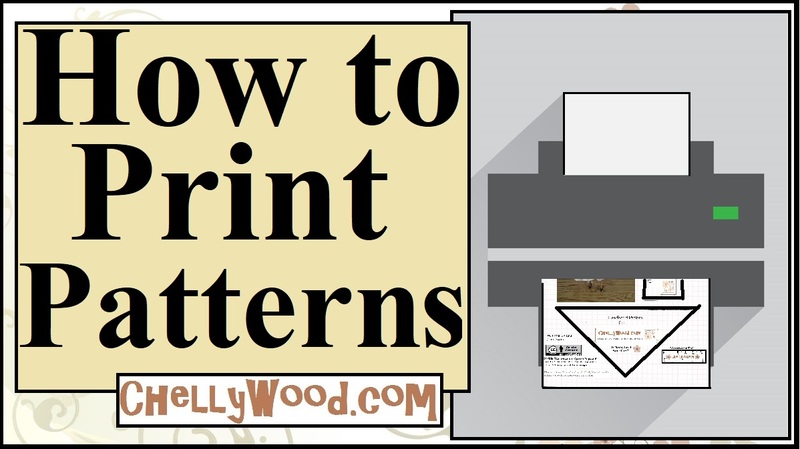 Take a look at this video, if you need help downloading today’s free pattern. I made my wedding dress’s bodice out of felt, but I also embellished it with some eyelet trim. Felt is really a wonderful fabric for beginners to work with. It’s somewhat flexible; it’s very inexpensive; it doesn’t need hemmed. It’s also a fabric most adults have worked with when they were younger, through 4-H, home economics classes, grammar school, and/or scouts. So those are a few of the reasons why we’re using felt for this dress’s bodice.